I decided to further my education at Cambridge College and it was the best educational decision ever. I graduated with a Bachelors from a top university yet I learned more in my 24 months at Cambridge then I did in 4 years at a top university. Cambridge provided a convenient school schedule for a working parent like me. I was able to thrive in the small classroom setting for my core classes and utilize the online classes for my prerequisites. Cambridge also provides you with the most sought after Trauma 1 clinical sites in the state. The clinical sites allow you to apply the knowledge you learned in the classroom. Most importantly, in my opinion, the professors of the Radiologic Technology program are the best in the business. They want you to succeed and train you to ensure you’re ready and that you will pass the boards. They go above and beyond to help each and every student. You will be hard pressed to find a better Radiologic Technology Director anywhere than Ms. Stacy Kopso. She is the best professor I ever had in college hands down. She did and does everything she can to make sure her students succeed. She is the reason I along with many others passed the national board exam. I owe my new career to her. Just look at her pass rates! You are also privileged to be trained by Ms. Forbes who is a military trained Radiologic Technologist. The professors provide you with every opportunity to get the help you need. Cambridge college is more than just a school. It is a partnership in success that you won’t find anywhere else. It will be the best money you ever spend on education…. It was for me! In just two years, you can be fully trained to work in a healthcare facility as a professional Radiologic Technologist. 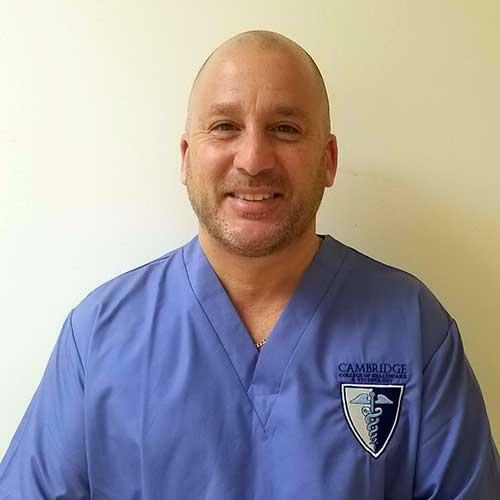 The Radiologic Technology program at Cambridge College of Healthcare & Technology and Cambridge Institute of Allied Health & Technology trains students with a carefully planned didactic and clinical education experience, enabling students to become competent, entry-level Radiography professionals upon graduation. Clinical competency requirements have been developed in accordance with ARRT (American Registry of Radiologic Technologists) guidelines. Delray Beach Campus – Palm Beach County, Florida. Now offering clinical training in Miami and other medical facilities throughout Southern Florida. Atlanta Campus – Atlanta, Georgia. Altamonte Springs Campus – Orlando, Florida Area. Miami Campus – Miami Gardens, Florida.